Bolton Design Build consults with retail, corporate and residential clients to incorporate unique, custom furnishings for retail or as fixtures incorporated into commercial and residential projects. Below are just a few samples of recent furniture. Mountaineer Montessori School in Charleston West Virginia. 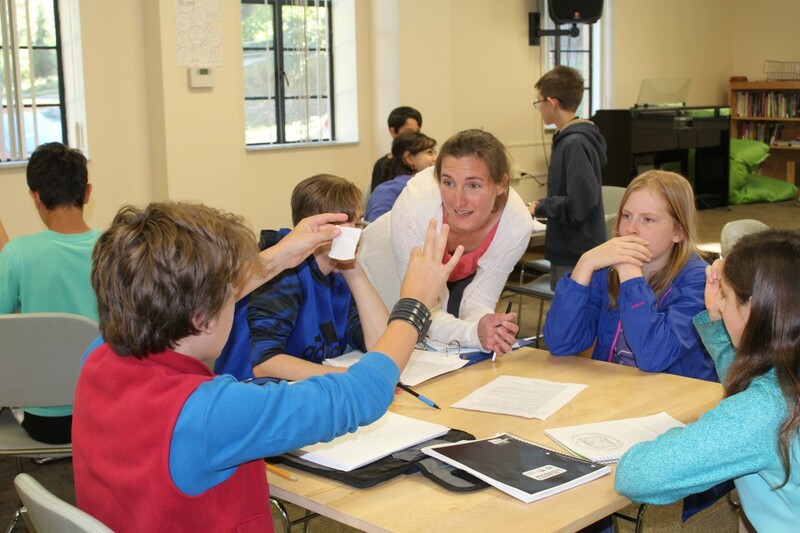 A series of mobile central learning stations. West Virginia Hard Maple, Low VOC, HAPS Free finish, from root-to-use, made completely in-state. 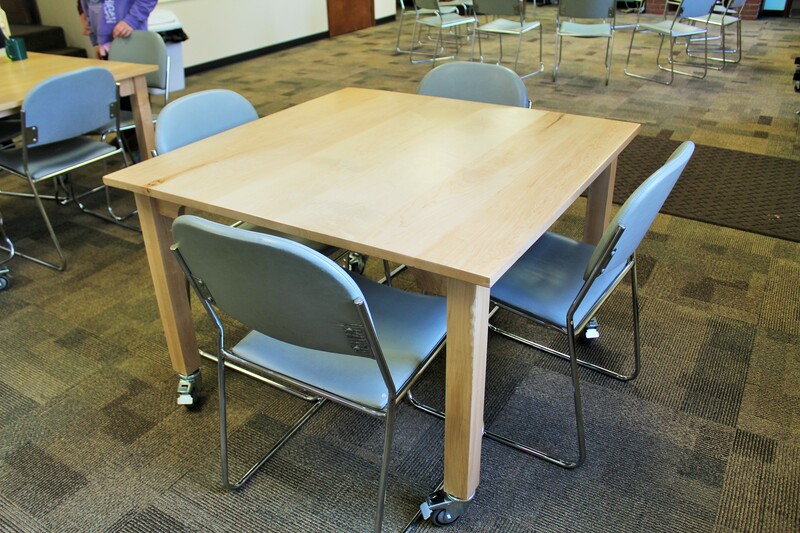 Mobile tables can be used individually or clustered in a group as needed. 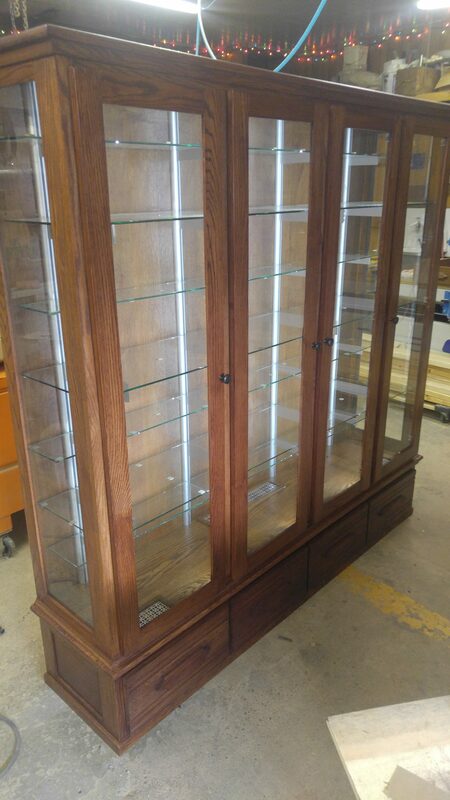 Custom display case with internal climate and humiditiy control. Infinitely dimmable recessed LED lighting in front stiles of the cabinet to provide full interior illumination. Tempered shelving and door glass. Rakks shelving system for infinitely adjustable shelf height and sleek/clean design. Drawer storage below. Made specifically to match existing furniture in the space. We work with clients who are trying to match custom furnishings with pieces that have been passed down through the family. 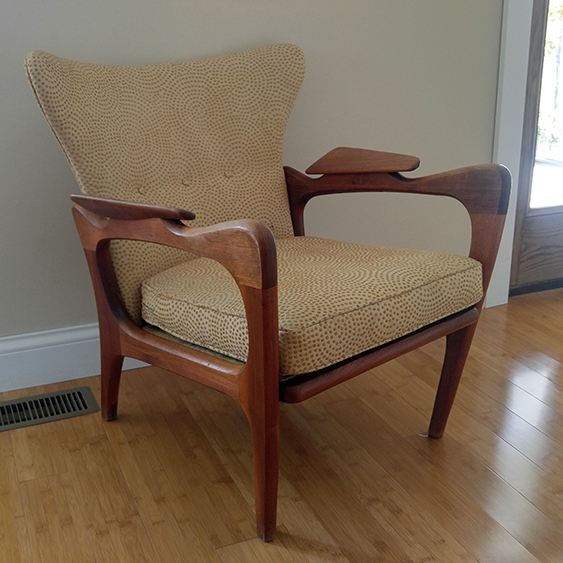 This is an example of a unique, 1950s contemporary scandanavian chair design. Using our CAD design and CNC machining, we can replicate furnishings in virtually any material and upholstery competetively. Based on our customers desire for their specific project we will often locally source timber and materials to match any decor. 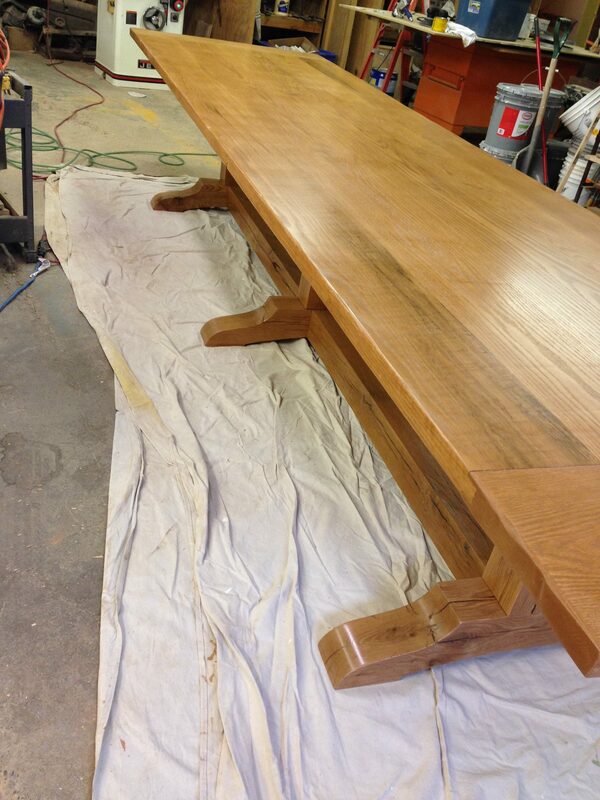 This is a custom fourteen foot long trestle table with Red Oak base and a Chestnut Oak top incorporating breadboard ends and matching butterfly dutchmen for accent and to eliminate defect and knots. Commissioned by the National Park Service for Camp Brookside in Hinton, West Virginia. 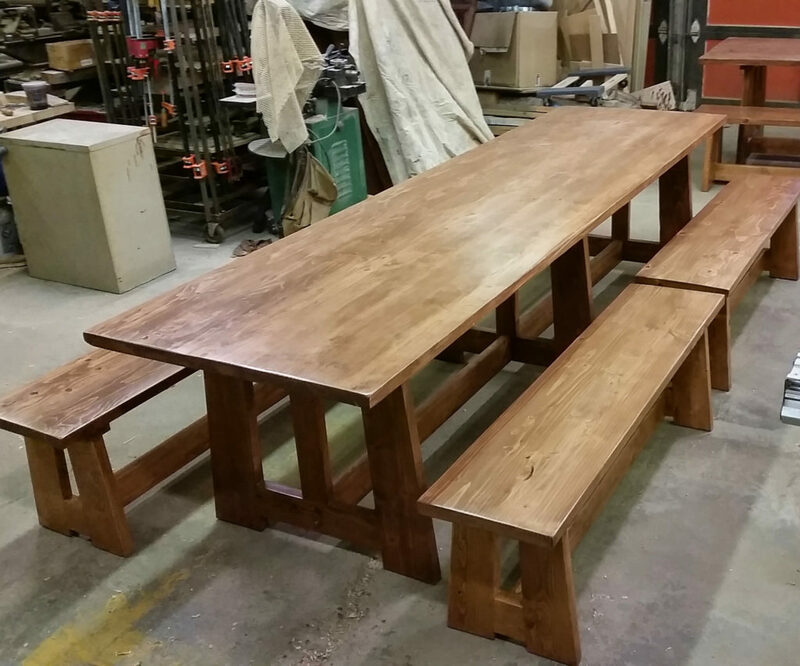 We were asked to provide four simple rustic function tables and sixteen benches for their camp commissary as part of a recent renovation of this historic facility. Originally opening in 1947, Camp Brookside now serves today’s youth as a residential youth camp and educational center. We worked with their team to establish a design that would incorporate West Virginia Hemlock all within their allocated budget. The ability to use the local hardwoods to create one of a kind pieces for your particular job sets our shop apart from other suppliers. 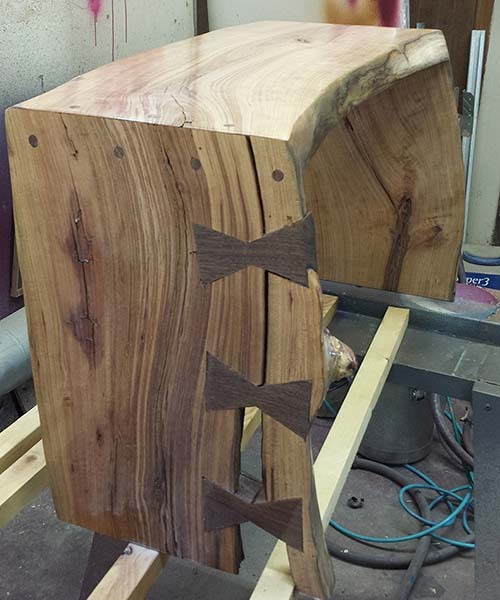 This is a sample of a custom hall bench made from native Roane County Wild Cherry and Black Walnut accents for one of our retail partners. Do You Have A Custom Piece In Mind? Whether it's a sketch, photo or just a general idea, let us help you turn it into a reality.